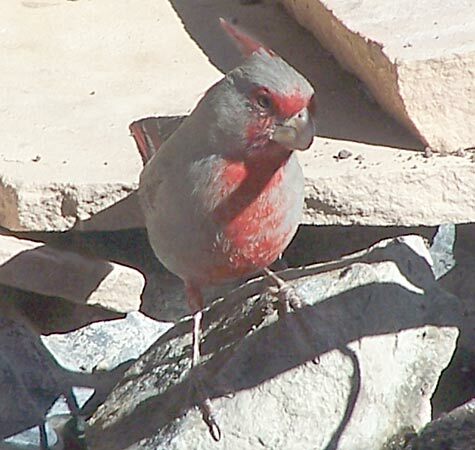 Notes: Male gray with rose-red breast, crest, wings and tail. Female similar but paler. Stubby, parrot-like yellow bill.